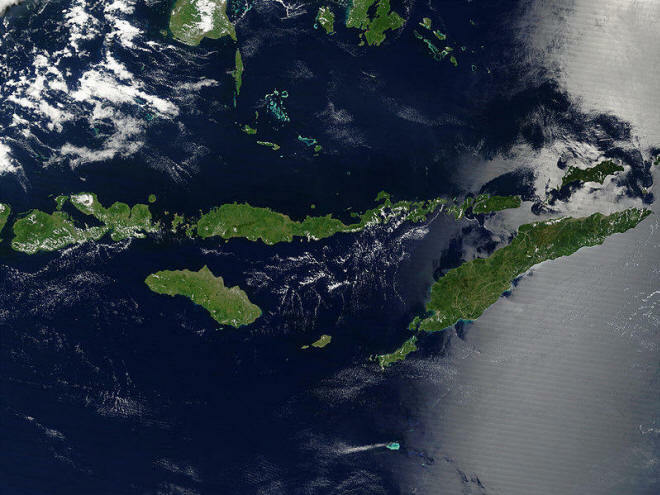 Satellite image of Indonesia in August 2004. 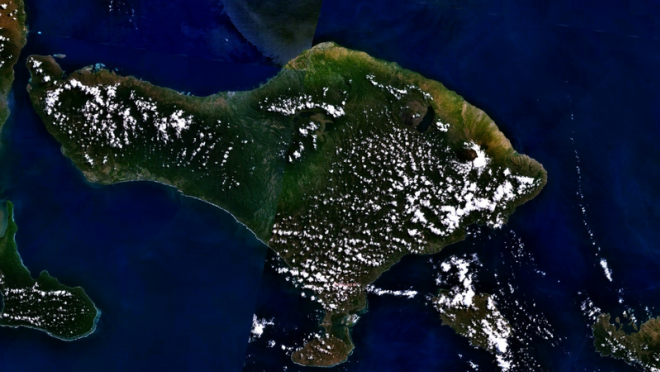 Border to East Timor is missing. Screenshot from NASA World Wind, Blue Marble Next-Generation layer. This image are in the public domain because it is a screenshot from NASA’s globe software World Wind using Blue Marble, Landsat or USGS layer, all of which are in public domain.